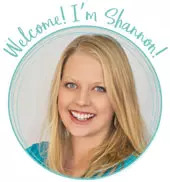 by Shannon Clark in Save on Groceries | 1 comment | Contains affiliate links. Need a quick one-dish meal for busy nights? 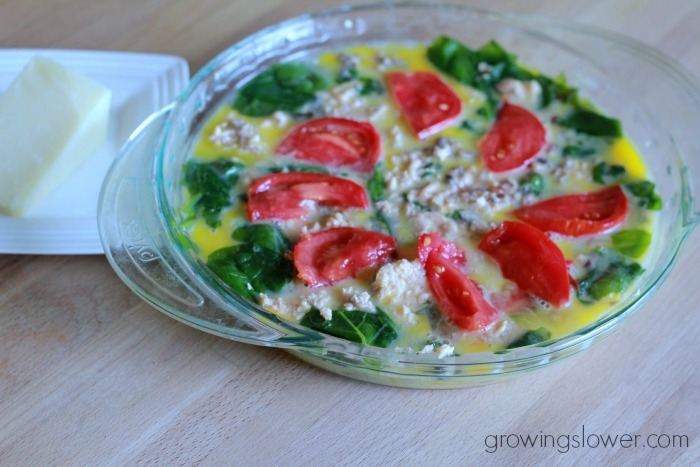 Try this healthy, fast, and frugal frittata recipe. Reader question: What’s your go to quick and easy dinner? My answer: my fast and frugal frittata recipe. Yes, frittatas for dinner! This makes a healthy one-pot dinner for busy nights. Every time we have to get out the door for church in the evening, I make this quick and easy frittata recipe for dinner. It only uses one dish out of your entire kitchen, so there’s barely any clean up. There’s also a dairy free option, for my DF people. Best of all it’s so fast and frugal to make, it only takes me 10 minutes to throw it together and get it in the oven. Here’s how I do it. 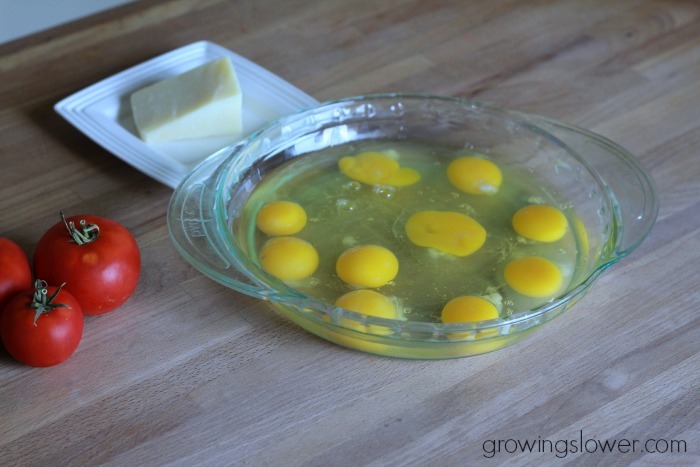 Grease a pie pan, and crack the eggs into it. Then use a fork to whisk them all together. Next, crack open a can of salmon and put about half of it (if you have a regular 14.4 oz can) into the bottom of the pie pan. Distribute it evenly with a fork. Frittatas are very flexible, so you can use just about anything you have on hand, as long as you have eggs of course! If salmon isn’t your thing, substitute with about 8 ounces of any type of cooked meat. Breakfast sausage makes a good alternative if you’re not feeling the fish. Other great combinations are potato and onion or mushroom, goat cheese, and herb. Next, rinse the spinach, and tear it up as you place it in the bottom of the plan. Finally, slice up the tomato and arrange it on top of the rest of the ingredients. If you’re using cheese, now is the time to add it. Slice it up and lay it across the top. You can even put cheese on half of the frittata if some of your people don’t do dairy and some do. There’s no milk or cream in the egg mixture itself, so it’s easy to keep it separate. Faster than it took me to explain how to make it, the frittata is in the oven, and I’m getting the kids ready for church. You can also make this ahead and put it in the refrigerator until it’s time to cook it. I always find it’s much easier to get dinner prep done in the morning or at lunchtime while we’re all still at our best. 2. 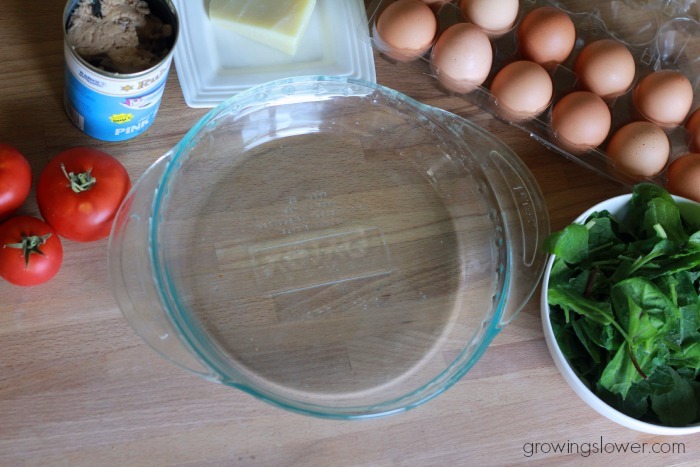 Grease 9″ pie pan. 3. Crack the eggs into the bottom of the pan. Whisk together with a fork. 4. Place salmon and spinach in the bottom of the pan. 5. Slice tomato and cheese. Place on top of egg mixture. 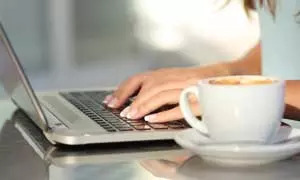 What’s your go to fast and frugal dinner for busy nights? Cook White or Brown Rice, add scrambled eggs and crumbled meat of your choice example hamburger, sausage, stick etc.